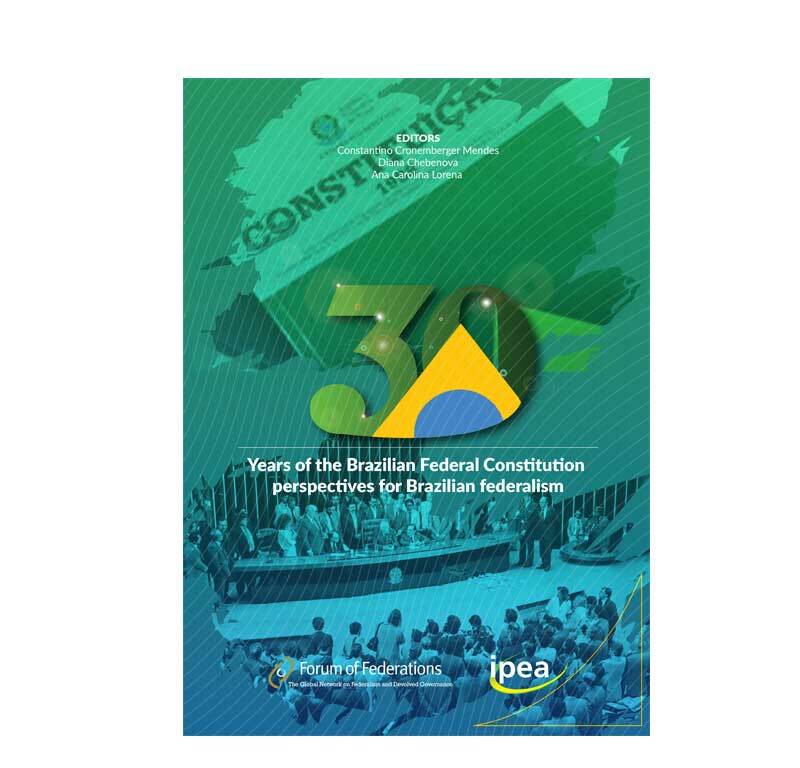 The book 30 Years of the Brazilian Federal Constitution: perspectives for Brazilian federalism has the objective of gathering studies written by the leading Brazilian experts on the topic of federalism. The book authors are also researchers who have significantly contributed to projects conducted and sponsored by the Forum of Federations. Even though the articles in this book use different analyses and approaches, the themes discussed converge on the debate about the role of municipalities in Brazilian federalism. The two first articles The political engineering of federalism in Brazil, by Celina Souza, and Preferences regarding the vertical distribution of authority in Brazil: on measurement and determinants, by Marta Arretche, discuss intrinsic issues of the political sphere. The first article describes the necessity of a constitutional design that can be adapted to political and macroeconomic circumstance in order to promote the stability of the federative system. The second article defends the role played by territory identity, social and demographic factors, and the geography of income in the determination of individual preferences regarding the distribution of authority between government tiers. The remaining articles use a more economic approach to examine the role of municipalities in Brazilian federalism. The article Expectations and frustrations: the recentralization of power and the expansion of federative conflicts and imbalances, by Fernando Rezende, discusses the importance of a reform of fiscal federalism in order to strengthen the federation, which would allow the government to promote sustainable development. The study Fiscal competition: decentralization, by José Roberto Afonso, discusses the advantages of fiscal capacity in the provision of public services, taking into consideration welfare increase and decrease among different kinds of inter-federative competitions. It also discusses mechanisms to reduce the negative effects of fiscal competition in the context of globalization, in which productive factors are increasingly flexible and assets increasingly mobile. Finally, the article Fiscal federalism and fiscal effort in Brazil: the dilemma of the Tax on Urban Territorial Ownership (IPTU), by Marcelo Piancastelli, studies the limits of fiscal federalism, describing institutional and economic obstacles to federative cooperation, and unsatisfactory results regarding the increase of welfare. 12 | 30 Years of the Brazilian Federal Constitution: perspectives for Brazilian federalism The papers in this book allow the reader to not only understand the challenges Brazil faces in improving its federative model, especially as it regards the role of municipalities, but also to visualize necessary advancements in Brazilian federalism. The book seeks to provide Brazilian society with important elements to understand its federative model and strengthen itself in this process. We wish the reader an enjoyable, informative experience.